First of all I have posted a photo of the Viking Cup with the current holders name on. So rest assured my norwegian friends your success has been recognised! I am pleased to report one of our members was a prize winner at this weeks Hi5 tour Futures Open held at Hacienda del Alamo. Matthew Webb played with us last week in our stableford competition. Although he did not score well, the practice must have been beneficial because he was the leading amateur with a score of -9 over the 3 rounds. He also finished tied seventh only four shots behind the winner. Another two of our members, Shaun Mills and Mark Penny also played. Shaun was +5 but Mark did not survive the cut. Congatulations Matt and good luck for the future. We will follow the progress of these rising stars. Next week is the December Apollo Air competition. This time it will be strokeplay (not stableford) which is always a challenge. Thanks again to Neil,Lynne,Paul and Rachel for providing sandwiches for the players before the presentation. Also thanks to Neil for my TV – on Tuesday I went to the bar to watch Man U and Man City on their two screens. However there were many spanish in there so Real Madrid was on one screen. So I went to Alley Palais to watch the matches. On Wednesday night I went to the Condado Club for our weekly meeting and found that Neil had installed a 3rd TV in the bar so I could watch my 2 english teams next time! They are always open to suggestions and are trying to give customers what they want (a big change from the offerings in the Clover). It is a multicultural bar and deserves support from our community. This week Mileniun have emailed owners with news from IRM. The golf shop and buggies are to be moved to near the 1st tee. It is ambiguous what kind of buildings will be used. Certainly it looks like the portacabin which was used by the community administrators initially (near the cement works) will be used for something. It may be the golf shop or shower and changing rooms. It says there will be services(does this mean some kind of bar?). The rumour was that the glass building (formerly used as a sales office by Polaris) may be moved and used as a clubhouse. Not ideal but better than what we have at present if it does happen. Hopefully we will have more news by next week. If you go the the fixtures tab you will see that I have updated them until the end of 2012. 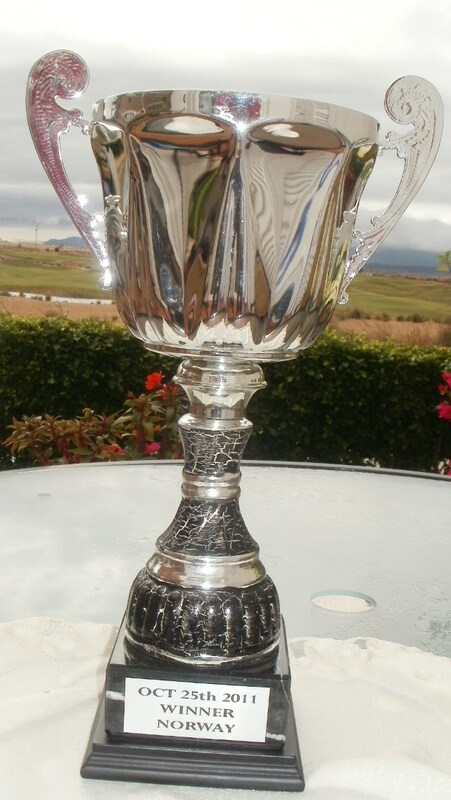 Please note that the Barry Barker Strokeplay and The Paul Harrington Scratch Cup is now on July 20th (not 13th). Again the autumn rains arrived to soak the 29 players who ventured out in this months Apollo Air stableford trophy. We were honoured to have a member of the Hi5 tour with us this week. Mark Penney showed us how it is done with a gross 71 off scratch (and the white tees) to win the 1st division. He was partnered by Matt Webb who also intends joining the same tour this winter. As an amateur he plays off plus three. The Hi5 tour starts this week at Hacienda del Alamo. The greens staff are still working hard on the course with more of the rough being cut down this week. The greens are good, and the fairways are changing colour as the grass becomes dormant until spring. Phil is currently working on an online version of the diary/fixture list which will enable members to flick through the pages online. Remember though to pick up your hard copy from him when you are here. We are currently looking at designs for the society golf cap which will complement the sunshine yellow shirt (available soon). After the golf Cath arranged a night out on the tapas trail in Alhama de Murcia (2 euros for a tapa and drink). The 19 participants split up covering two routes, then met up at 11pm for cocktails. Remember there is a pre-xmas party on December 16th at Scottees in El Pareton at 15 euros a head. If you want to go contact Cath. Numbers for the golf have now settled to the 30/40 mark which is still higher than the same time last year. Next week is a return to the popular 4 person team event of the 1,2,3 waltz. Entries close at 8pm in the Condado Club (the only exception will be to take late entries in order to complete a team). 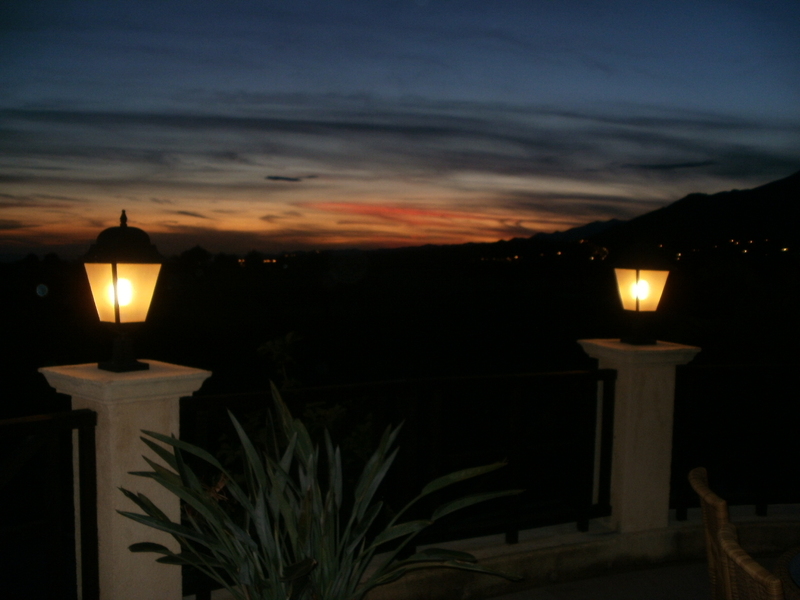 This week we had our awayday in Benidorm with night stopover. The winner by a clear 10 points was Karin Dahl, but in our defence the ladies tees were significantly forward of ours! 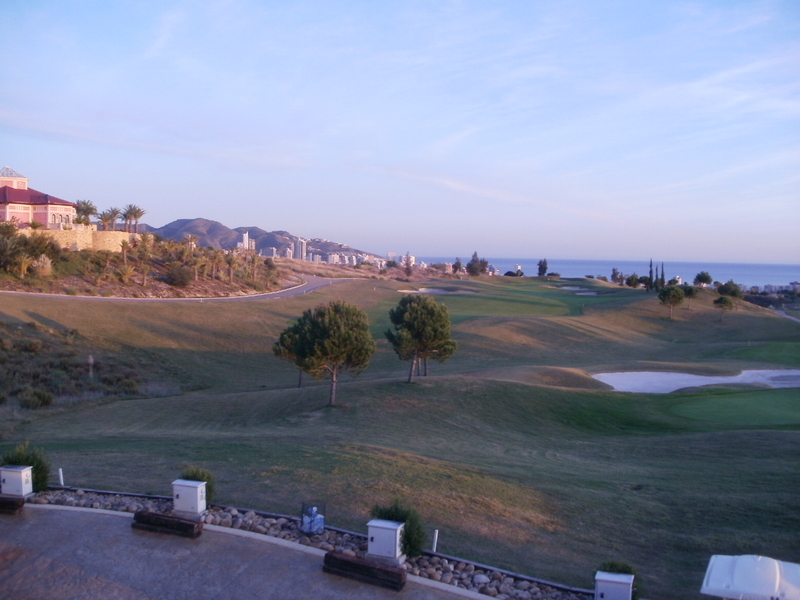 The course at Villaitana was excellent for holiday golf, with fantastic views over the town and sea, and an impressive backdrop of towering mountains. Again their impressive clubhouse put our setup to shame. This week was a 4 person team event played in glorious sunshine (in comparison to last weeks downpour). 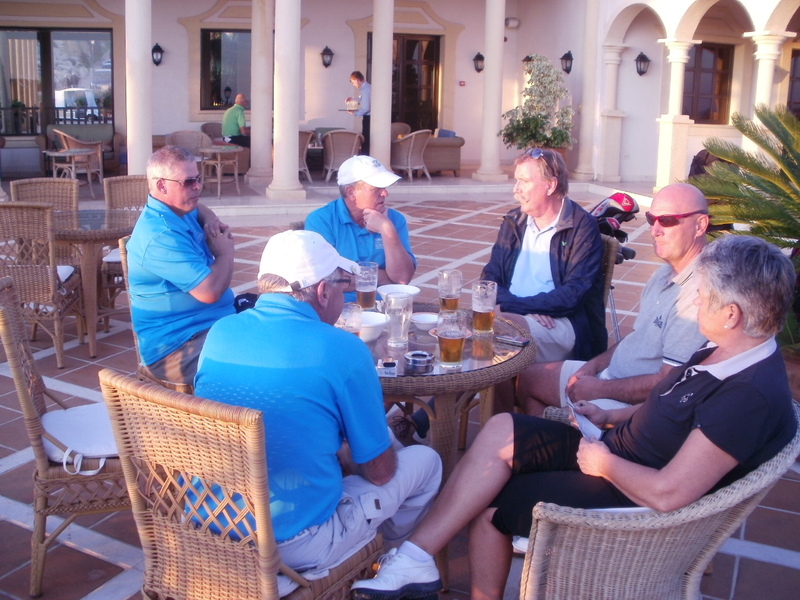 We had nine teams of 4 (36 players) and everyone turned up and paid their entry fees to Brian Yeldon on the 1st tee. Next week is the monthly Apollo Air individual stableford competition. Cath is arranging a couple of outings for those who are interested. First up is the Alhama tapas trail next Friday November 18th. There are different routes and people will be split up so we don’t all arrive at the same bar at the same time. We will however, all meet at a designated spot to finish off the night. Transport is available at 5 euros each. Departure from Al Kasar will be after the presentation at a time yet to be decided. Friday December 16th is the xmas dinner at Scottees restaurant in El Pareton. This is 15 euros a head with transport at 5 euros each if required. Autumn has arrived and with it came the rains we have been expecting since September! With rain threatening, 17 pairs started the pairs betterball competition, but within a short time the heavens opened. Most teams walked in, but 7 partnerships did finish their round ( the ones with waterproofs?) and did post respectable scores. The winning team was Brian & Joan Scanlan with a score of 67, just beating Andy & Torild Lailey who had the same score (by virtue of a better back nine). Everyone who entered did pay (finish or not) thanks to the efforts of Brian Yeldon, who has volunteered to collect entries and memberships each week. He started in the shop but when he realised some would not go there first, he went to the 1st tee and got them there! So you will know who he is next time you play with us. 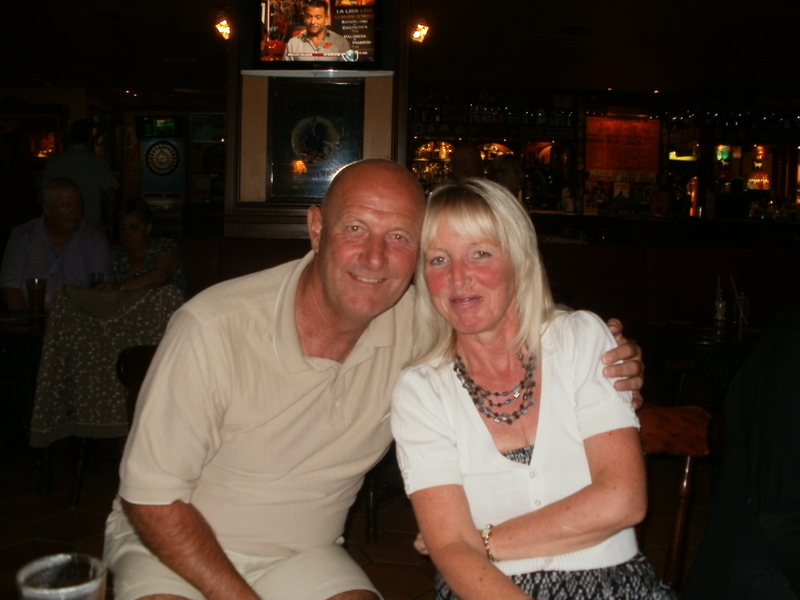 Tuesday is the trip to Benidorm with some shopping, some golfing, but all drinking at night! Next Friday is a 4 person yellow ball event with 2 scores counting on the 1st 6, 3 on the 2nd 6 and all scores to count on the last 6. A testing format. From this coming week we will operate a cut off for entries which will be at 8pm Wednesday night in the Condado Club. If you can’t make it there you can still book by phone or email. On Thursday morning we will give the final list to the staff in the shop and post times on the board for info only. No more names will be allowed unless a team event requires another player etc.